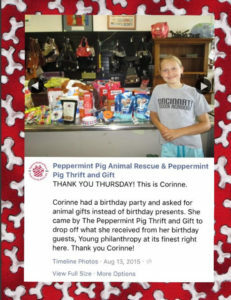 Peppermint Pig Animal Rescue does not have a physical shelter but we operate our Peppermint Pig Thrift and Gift store to help fund our animal rescue and we use it as an adoption venue on Saturdays. We are in need of many items to care for our animals, both while they are in the store and while they are in foster homes awaiting adoption. We are also grateful for donations of items needed to operate our Thrift Store. 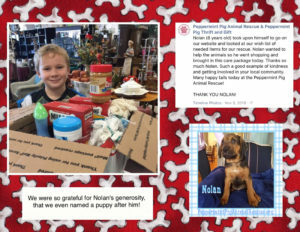 Remember, your donations of household goods, clothing, shoes, jewelry, books, and furniture that we can resell in our Peppermint Pig Thrift and Gift Store are what help us generate the funds to help so many animals. THANK YOU! Any donations for resale in our Peppermint Pig Thrift and Gift store or any donations of items on this Wish List can be dropped off any time during normal business hours. Closed Sunday and Monday. Tuesday through Friday we are open 11 am to 4:30 pm and on Saturday from 12 noon until 4 pm. If you’d like to Sponsor a Pet, click here. 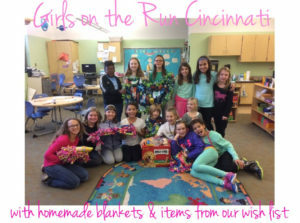 You can find all of these items, and more on our Amazon Wish List! Nylabones/Benebones/Easily Digestible Rawhides/Rope Toys to keep dogs active and happy on adoption day. You can donate collars and leashes to Peppermint Pig Animal Rescue dogs when you purchase a collar or leash for your rescue dog at Project Blue Collar!